Over the last few months I’ve had quite a lot of queries on YouTube about the pump-bottle friendliness of the lotion recipes I’ve shared there, and I realized most of them are so thick that you’d end up with a slurpee vs. straw sort of problem—the lotion wouldn’t re-settle to the bottom of the bottle as the pump tube sucked it up, leaving a large non-pumpable portion of the lotion lurking in the bottle, unused. So, when Ivan over at YellowBee sent me a 200mL pump-top bottle I decided it was high time to develop a pump-able lotion. You might notice the water part of this lotion is a bit larger than I usually work with—this one is closer to 80/20 than 75/25. 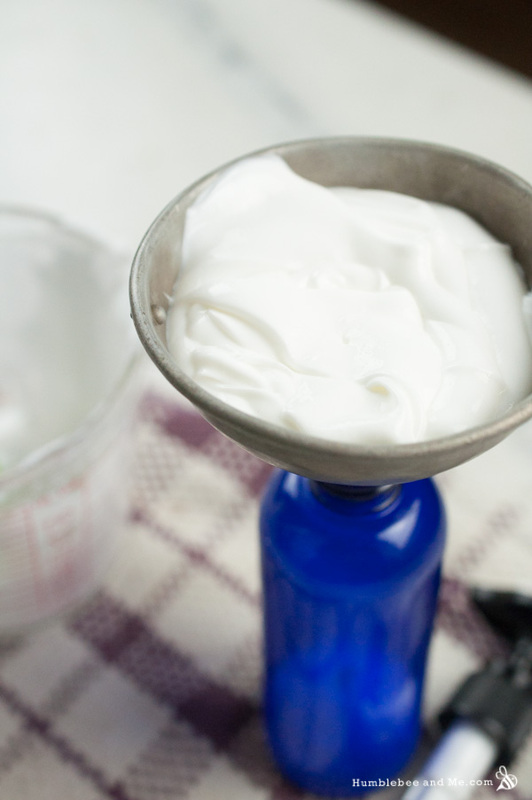 That’s part one of making a more pump-friendly lotion. I’ve also used mostly liquid oils in the oil part, with 2% cetyl alcohol to add a bit of silky thickening. If you don’t have cetyl alcohol I’d use 20g (0.71oz) safflower oil and 6g (0.21oz) of a solid butter like shea or mango instead. To amp up the hydrating power of this Lemon Chiffon Body and Hand Lotion I’ve added both vegetable glycerin and a new ingredient (to me, at least)—sea kelp bioferment. Keith and Michele from Windy Point dropped of a wee jar of it for me to play with, and I barely lasted half a day before adding it to this lotion formula. 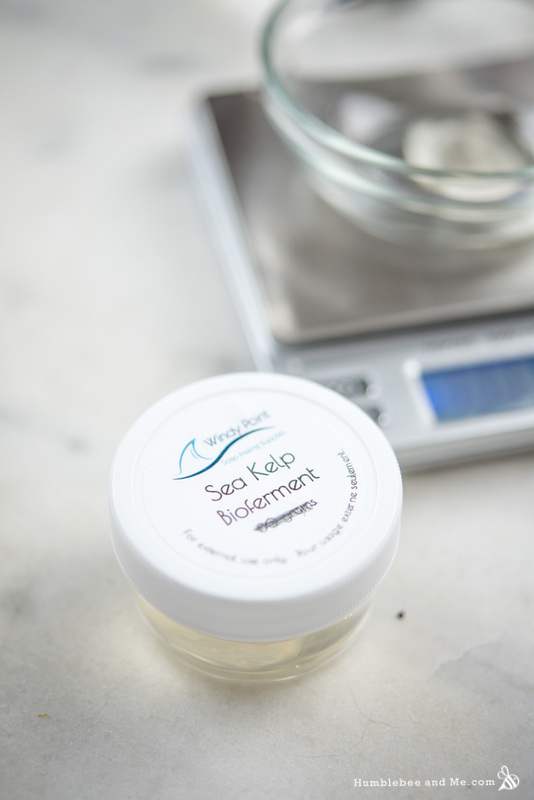 Sea kelp bioferment is a clear, soft gel that doesn’t smell like much of anything (unlike seaweed powder!). It is a film-forming ingredient, so it helps trap in the moisture this lotion adds to our skin. It’s a great alternative to hydrolyzed silk in pretty much anything (take note, vegans! ), and it gives this lotion an utterly lovely feel. Apparently it’s the star ingredient in the $168 USD/1 oz. Crème de la Mer (), so you can feel all kinds of posh knowing this DIY’ed Lemon Chiffon Body and Hand Lotion may well be worth a car payment or two. The citrussy-sans-sunburn scent comes from a blend of litsea cubeba, lemongrass, and lemon myrtle essential oils. It’s wonderfully lemony smelling and I love how I can slather myself in citrussy goodness without worrying about getting a sunburn. If you only have one or two of those three essential oils you can definitely use more of what you have to make up for what you’re missing, but I find the blend of the three helps obscure the specific “not-quite-lemon” scent of each (lemongrass, in particular, is relatively identifiable as not-quite-lemon). H’okay. Enough of my rhapsodizing. You should really make this Lemon Chiffon Body and Hand Lotion. It’s divine. Weigh the water, allantoin, vegetable glycerin, and sea kelp bioferment into a small heat-resistant glass measuring cup. 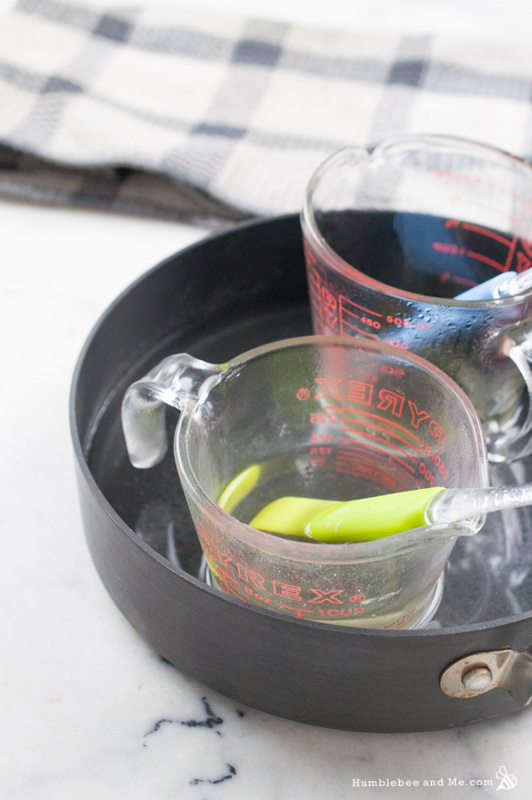 Weigh the safflower oil, emulsifying wax, and cetyl alcohol into a second heat-resistant glass measuring cup. Place both measuring cups in your prepared water bath to melt everything through. After about 20–30 minutes the oil part should be completely melted and the water part should be thoroughly dissolved. Remove the water bath from the heat, and pour the water part into the oil part. Stir with a flexible silicone spatula to incorporate. Stir in the essential oils, the vitamin E, and your preservative. Using a funnel, decant the lotion into a 8oz/240mL pump bottle (I used this one). Et voila! Your lotion is complete. Enjoy! Either I spend way too much time reading your blog, or you can read minds. This is so so so close to the recipe I’ve been enjoying. I used apricot Kernel oil and mango butter instead of the cetyl alcohol. And 3g of silk. Whoa. Can you read minds? It’s really really really nice isn’t it? I added a wee touch of gold to mine to make me look somewhat human and not some pale ghost. I love how this one sinks right in to the skin and doesn’t leave anything behind, have you tried it with mint yet? I was just commenting on the Forum yesterday to Cynnara that we needed to try sea kelp bioferment! I’m with Penny! Are we starting to read each other’s minds??? I’m feeling a little Twilight Zone-y here…. This lotion looks divine! I love lemon scents. I think I might need to make this today sans sea kelp since it is not in my inventory YET! Haha! Oh my word! I just woke up (coffee is not even on) and I was all giddy thinking about making this! Oooooh. It’s been ages since I worked with apricot kernel oil; is it worth getting again? I think it was one of the very first oils I bought, and after I finished it (in… 2011?) I never replaced it. And I don’t remember much about it. Hmmm. You seem to be making a few scrubs lately, and apricot, wheatgerm and rice bran oils are in all my summer scrubs. I changed up my lotion I made with this and added in, evening primrose, rice bran, wheat germ and mango butter as the thickener. So should you buy some? Meh. I use it in my speciality soaps come winter, and summer scrubs. I like it over safflower, sunflower, hazel and macadamia oils to be honest! Hi Marie – I just love your blog and all of these recipes you provide! I got your new book and can’t wait for you to create a book of all of these types (body lotions, salves, serums etc.) of recipes too. My question is: does it make a difference, and if so what, whether you put the oil part into the water part or the water part into the oil part? 🙂 I think there’s a bunch of other good stuff in there, too! Short answer: The water is less viscous and pours easily without having to use a spatula the way you would if you poured the oils. I just made this and it’s like summer to me. I love the extra large recipe! I have some for me, some to share and some spare. It probably doesn’t smell like yours, Marie, because I don’t have lemon myrtle yet. You use it a lot now and I’m looking for a replacement for lemongrass. That crap turns my guts with the first sniff, like a sudden stomach bug. Seriously. I did use the 5 recommended drops and I feel sorta yucky at the moment, but added 10 drops of litsea. That covered the nauseating bite of lemongrass. For the most part. Tell me about lemon myrtle. Should I add another essential oil to my overflowing arsenal? I need wearable lemon. Anyway, I love this lighter lotion. Perfect for sweaty days ahead. Pffft. Should you add another essential oil to your arsenal? The answer is simple. Yuppers!!!! I made a very similar lotion yesterday (changed the oils, evening primrose (my skin was giddy with excitement), rice bran and wheat germ) and added in some citrus essential oils. Lots of citrus oils because still fully clothed here in Chinaland. And all I can say is dear lord I have missed summer lotions! I totally get Marie on YouTube saying that this recipe kind of sounds boring in theory and and and then you try it. And your skin just sings. I’ve been pampering my skin with awesome scrubs, body butters, amazing lotions for winter and treating my skin well. But this stuff? Well…. I don’t know if Marie can top this one! I think my skin is singing Think of Me from Phantom. Thinking of August of when the trees were green… sigh. Et tu, Penny??? First Marie depletes my secret stash of cash. Now you! Ok! Lemon myrtle it is. It just sounds fancy, “winterized”. It’s like oh look at me! I’m winterised! What makes this cottonseed oil special? Why do I now have cotton eyed joe in my head? And how can I blame you for this Cristie? And yes. I am an enabler. And I’m proud of it. If you love your vitamin e, try wheat germ. I fell epically head over heals for it this year. I heard on the clog scale (snort, clog scale!) it is pretty bad, but haven’t had any issues on the body and on the face. Are you beginning to buy drums yet of various oils? Not drums yet, but jugs! I have a few 4L jugs in my collection now—mostly soaping oils, of course. I think I may need to make my next apartment a warehouse LOL. Tell me about it! Since we actually went forward and decided to properly sell stuff (we’re even registering the name and paying taxes and insurance), my hobby has taken over. We’re looking at buying 25kg drums of various stuff. I’m more afraid of my floors giving out! There are a few shops on Alibaba (check them out for bulk ingredients, even with the importing fee, you might find it cheaper). Dear heavens, are you renting a second home as well? 24kg drums! This sounds like something I really need in my life right now. Although I don’t have any cetyl alcohol. I may use apricot Kernel oil and mango butter instead, as Penny sugests. But I was thinking due to photosensitivity can I use Bergaptene free Bergamot EO? Has anyone considered using steam distilled lemon oil? This is the only kind that isn’t photo toxic. Just wondering. I’ve heard from readers who have, I wish I could find some in Canada for a reasonable price! Pam, Mandarin oil ( citrus reticulata peel oil) is not phototoxic either. I made it with Mandatin, Litsea Cubeba and Bergaptene free Bergamot. It smells like lemon. I wonder about this too. Most citrus oils are photosensible. As far as I know, if you apply this lovely cream on your body and then get sunlight you can get brown spots and other problems. What is your take on this? I always wanted to create body lotions / oils with citrus smell but this point always stops me from doing it. Hi, uncle Google said that Mandarin oil ( citrus reticulata peel oil) is not phototoxic. I love everything about this lotion: texture, smell, feel……something happened to mine after about 3 days. :/ I pumped some out and it had turn into a watery texture! Any ideas why? I didn’t have the sea kelp bioferment but did use silk peptides. That is the only change I made. Is there hope for this lotion or do I just have to try and use it up as is and try another batch? Hmm. Did it separate or just get thin? What e-wax did you use? How was it stored? Hmmmm. I’m so miserable right now. I prepared everything to make this lotion and found out that my silk peptide’s box got opened and the whole content turned to be a sponge like goo. I almost cried. That stuff is expensive…… Do you think I can still use it or not? I am going to order again but it won’t come sooner than a month. Thank you, Marie. I was so worried that I must through that away. But I still desided to try it out. Luckily for me, it didn’t got spoiled and I am happy because I love it. Seriously, I love it. I used Mandarin, Litsea Cubeba and Bergaptene free Bergamot oils. It smells like lemons and it’s so gentle on the skin. Sinks very fast and does not leave greasy layer on top of the skin. My skin feels like it’s wrapped up in silk. Yay! That’s awesome 😀 Enjoy! I made this recipe today and I love it. I had to order a few special ingredients, specifically the sea kelp bioferment. I have tried a few of your recipes and really enjoy your blog! Yay! I am so glad 🙂 Thank you so much for reading and DIYing with me! HI Marie! I made this today and it is amazing! My very first lotion! I can’t believe how non-greasy it feels and how wonderful it smells. I used Leucidal SF Liquid for a preservative (even though it gets mixed reviews). My question is somewhat related – do you need to add a preservative to the DIY hand sanitizers? I never see one listed in the ingredients on any website, but most of them contain either aloe vera gel and/or water. I’d love to hear your thoughts. Thanks again for SO MUCH DETAIL! I can’t wait to make more! Yay! Re: the preservative… it doesn’t so much get mixed reviews as it’s not effective on its own. You must “bring pH down to 5 and add below 40c however it’s not strong against mold so you could try adding sodium benzoate e.g. 4% Leucidal Liquid SF and 0.5% sodium benzoate.” (source) If you didn’t do those things… I’d throw it away at this point. There’s definitely a bacterial orgie happening in your lotion. Erk. Hmm. How long are you heating and holding? Are you using distilled water? What emulsifier are you using? Hmm. Well, I never let the water temperature drop to 45°C, so that may be he problem. Also, what is “emulsifying beeswax”? I’ve never seen such a thing for sale in Canada and I’m intrigued! Marie is Litsea Cubeba the same as May Chang? I make your oat dream cream all the time & it’s fantasic.anyway i was wondering if i can substitute aloe vera juice for the water in this recipe? Hey B! I’d recommend swapping out up to 40g of the water with aloe juice; aloe juice is one of those things that make our recipes harder to preserve, so a complete swap might be a bit much 🙂 Happy making! This is my favorite lotion like… ever! It sinks in beautifully, doesn’t feel sticky and the smell… omg, I can’t stop sniffing my hands and arms. About your make a 2nd batch. Thanks Marie!!! That’s it! From what I’ve learned, this shouldn’t last two years. So I was just wondering what you thought and how they might be able to make a claim like this? I’ve had my product for 2 mos and so far so good. It’s a deliciously smelling, light weight lotion that goes on watery but leaves a moisturizing yet not too greasy feel which is what I love in a lotion. Hey Keriann, and welcome! I’m so glad you stumbled upon my little corner of the internet 🙂 So, yes, you are right about that lotion. It has no preservative in it, and lots of bacterial temptation, so even though it may still look fine, chances are it is teeming with nasties. Ick. I don’t really think they can make a claim like that. Maaaaaaaybe, if they’ve had it extensively tested ($$$) and are using some sort of fancy airless packaging (or just lying about the lack of preservative… not uncommon for small brands, though definitely illegal)… but I doubt it. This is basically mayo and they’re telling you it’s fine for two years at room temperature! Ack! I love this company. They are local so supporting them is a pleasure. I’m wondering how they’re getting away with this though? They’re products are sold in Saks and Nordstrom! Maybe I’ll reach out to the company and inquire about that. I love their products but they’re pricey so I’m looking to re-create something similar on my own to save some money. Hmm…the mystery! I’m in the US, and I bought my allantoin from Lotioncrafter. It’s an easy to find ingredient. Just Google “allantoin where to buy” and multiple sites pop up. If you’re in Canada, two great places to buy are Windy Point and Voyageur. In the UK, I’ve heard people mention Gracefruit as a great place to shop. This was my very first pumpable lotion and WOW, it’s amazing!!!! I love the pump bottles for bacteria issues and mainly because I am a huge klutz. This lotion is out of this world silky smooth and the scent, HOLY COW!!! My skins absolutely loves the feel of it. I do find it a tad thin, may be the hot and humid weather here, maybe I can attempt to thicken it a little next time. I still love it. And my daughter-in-law and sister loved it so much, I made them each a bottle. 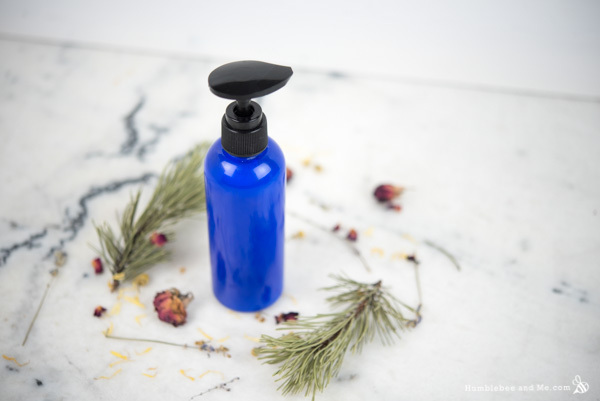 I made this lotion two days ago substituting silk peptides for the sea kelp bioferment and grapeseed oil for the safflower oil simply because I didn’t have the other ingredients. I must say it is absolutely, positively scrumptious! It is light and silky and luxurious and it absorbs so beautifully into my skin. If that wasn’t enough, the fragrance is a delectable combination of bright lemony goodness…I can’t stop smelling my hands….mmmmm 🙂 I found Humblebee & me via YouTube a few months ago and after a video or two I clicked the link to the blog (thankfully). I also picked up the beautiful book and let’s just say between the three, I’ve been in a DIY bliss ever since! Not only do I love the recipes but I also love the delivery and style. Great work. Really, really great!! 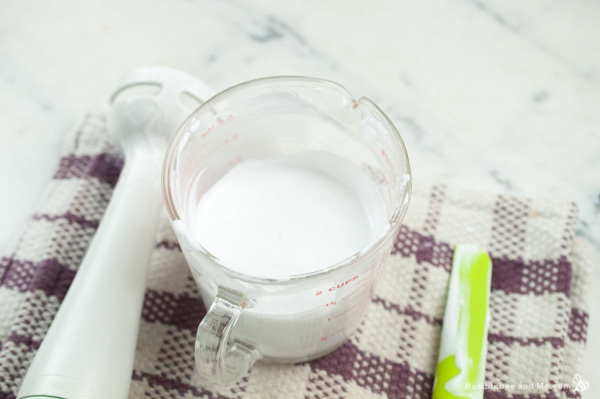 This is the home made lotion recipe I have been looking for. I love the fact that it absorbs so quickly, and doesn’t leave an oily feel on my skin. Since I “discovered” it in winter, I’m using other eo’s, but the lotion is my go to base. Thank you for sharing this recipe, and for taking the time to develop it. Yay, I am so thrilled! Thank you so much for DIYing with me and enjoy! Hmmmm.. this essential oil blends smells like something I would really enjoy. Would it be okay to replace lemon myrtle for normal lemon essential oil if I was using it for something like a room spray? Or if I used lemon essential oil in lotion, would sunscreen counteract the photosynthesising effect of the oil? Last question, do you know what lemon messina essential oil is? I see it on one of the websites I regularly shop on but I can’t seem to find any informaiton on the web! You can definitely use the EO blend in other projects, and if you use either steam distilled lemon EO or keep expressed lemon EO at 2% or below photosensitivity isn’t a concern 🙂 I just googled “lemon messina”. The Latin name for the plant it is extracted for is just plain ol’ lemon so if there is any difference between “messina” and regular lemon it’s likely geographical. I am going to make this lotion tomorrow. This would be your third lotion recipe that I am trying. I am in love with your work and your humbleness for sharing with the world. My question- Can I add aloe juice in place of water to this recipe? What would be it’s effect? I would be adding Shea butter and sunflower oil in place of cetyl alcohol and safflower oil due to unavailability. You can! I’d only use it at ~20%, though—it’ll help make the lotion a bit more moisturizing and soothing 🙂 Happy making! I love your recipes and have made a few and they turned out perfect! Yay! I want to try this recipe but I’m not a huge fan of lemon, but the EO’s you use for the Ginger lotion sound lovely. Also, I would like the lotion in a pump bottle. So, my question is, can I substitute the lemon EO’s with the EO’s used in your Ginger lotion. And if so, how much of each would I use? Thanks so much for sharing your recipes, I love trying them all! I’m going to try this too, since everything I’ve made of yours is so wonderful! I have purchased your book and am enjoying the lipstick section now. I do look forward to a future book of lotions and such, since that’s what I’m really drawn too. Thanks for making regular people like me, feel like a chemist! Yay, and thank you so much! My challenge with proposing a book on lotions to a publisher is all the ingredients—there are SO many! 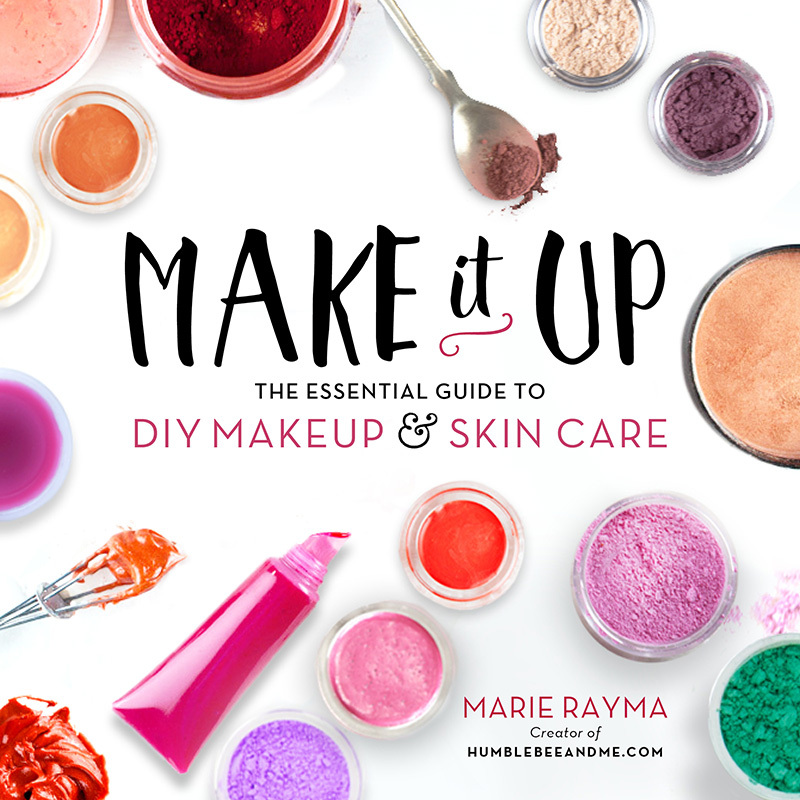 One obviously doesn’t need all of them, but unlike makeup, where variations are just different colour blends, many lotion variations and adjustments require new ingredients, which can be really daunting to the general public. I need to work through that problem first! Thanks for all your encouragement! Hi, so, I may have already asked this, but I’m not sure, so, if I did, I’m sorry.I made this and it emulsified great and smelled fantastic and all that jazz, but the lightweight factor isn’t really working. It’s thick, too thick to rub in, basically, and I’ve noticed this with other lotions I’ve used cetyl alcohol with. Mine is from Lotioncrafter, and it seems fine, but it makes all the lotions I make suuper thick. I need help! Marie, I’ve read through the FAQs and haven’t found an answer to my question… So, at what percentage could I (can I?) substitute a liquid emulsifier for the emulsifying wax? I prefer thinner lotions. The emulsifier I have on hand I can use up to 10% of the formulation. Hey Kathy! The reason you can’t find an answer for this question is because there really isn’t one. The term “liquid emulsifier” encompasses a very broad category of ingredients with different specs and compatibilities. 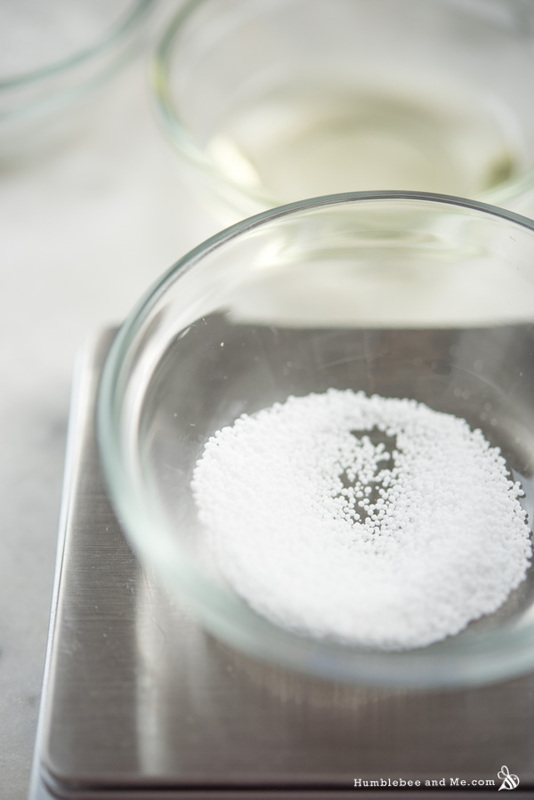 They are typically more fussy than emulsifying waxes, both in regards to phase sizes and procedures, and they can be used to create a much wider array of end products. It’s a bit like asking how many rodents one could use to replace a horse, I guess? Both are technically animals and at some point you could probably get an equivalent horsepower, but there’s still some pretty fundamental differences! Marie, Thank You! I have read through the article which you linked to and went on to some of the other links. I have a better understanding now of the difficulties in swapping ingredients.